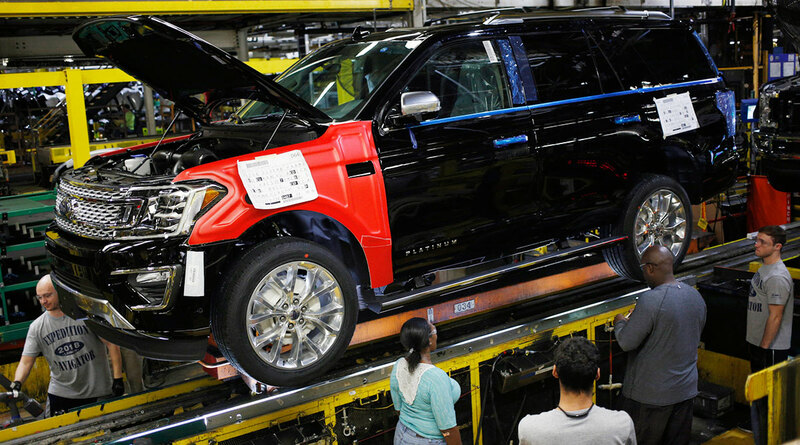 The automaker is increasing Ford Expedition and Lincoln Navigator output by 20% — about 20,000 additional SUVs a year — by speeding up the assembly line and redesigning it so multiple workers can manufacture the SUVs simultaneously. Ford executives declined to say how much they’re spending, but an upgrade of the same Kentucky plant announced in February 2018 cost $25 million and followed a $900 million investment the year before. Navigator sales soared 70% last year, thanks to a bossy redesign, while Expedition sales rose 5.4% according to researcher Autodata Corp. Retail deliveries of Expedition, revamped for the first time since 2003, jumped 35%, according to Ford. Perhaps most importantly, the average selling price of an Expedition climbed about $11,700 to $62,700.